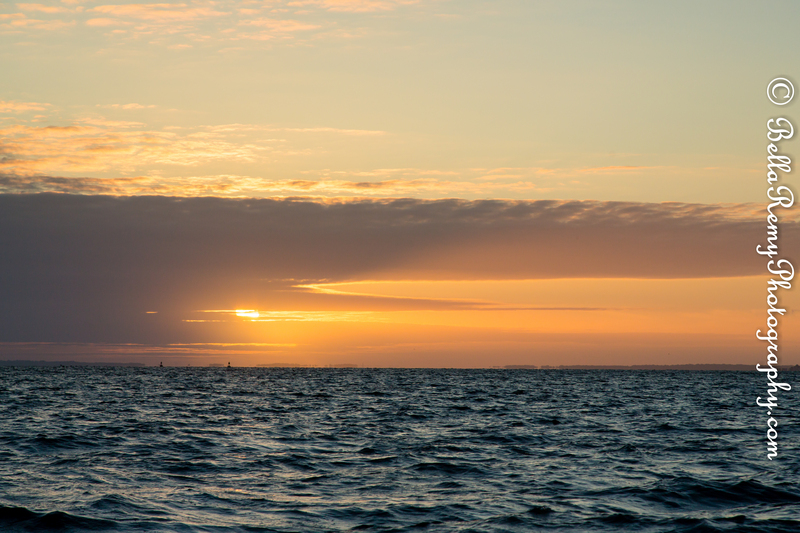 The dawn broke over the Chesapeake Bay, greeting many vessels that traveled through the night to arrive this morning at Baltimore’s harbor. This year is the 200th anniversary of the War of 1812 events that happened during the year of 1814 in Baltimore. This week is the Star Spangled Spectacular 200 event which is a week long celebration in the Baltimore Harbor. The “O Say Can You See! Star Spangled Spectacular” honors the 200th anniversary of the National Anthem. It will be a full week celebration, culminating with the Blue Angels flying over the harbor on the afternoon of Saturday, September 13th and ending with a fantastic fireworks display in the evening which will be broadcasted live on PBS’ Great Performances. My friend and I left the dock before dawn to arrive at the freighter canal by the Baltimore Lighthouse. Great fortune was upon us as our eyes set on a Spanish Galleon coming under the Bay Bridge. 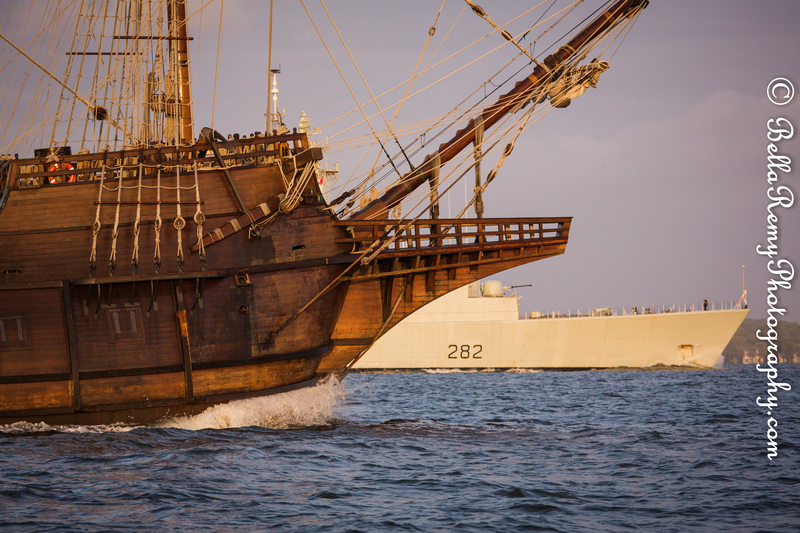 “El Galeon Andalucia” is a wooden reproduction of a 16th century Galleon that was part of Spain’s Western Indies fleet. 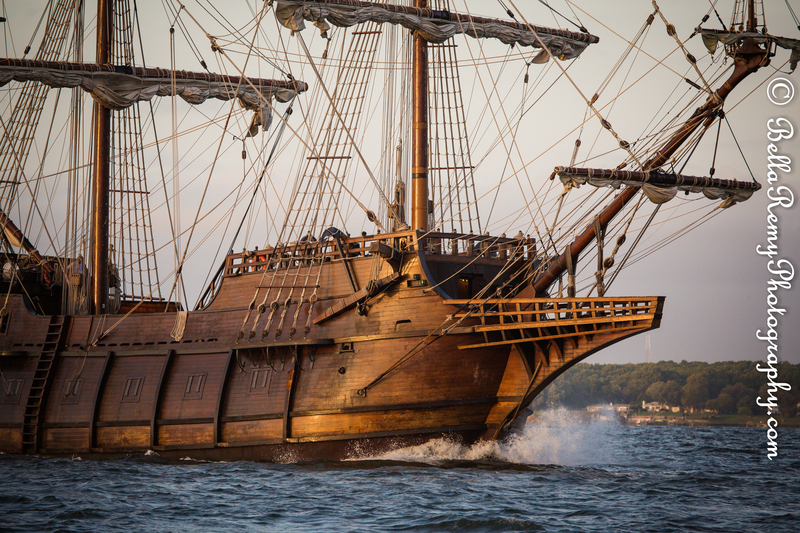 Built in 2010, this ship has a working crew of 20 with seven sails, and is 171 feet long. During the 16th century, Galleons were frequently captured by pirates and the styling is synonymous with the skull and crossbones. 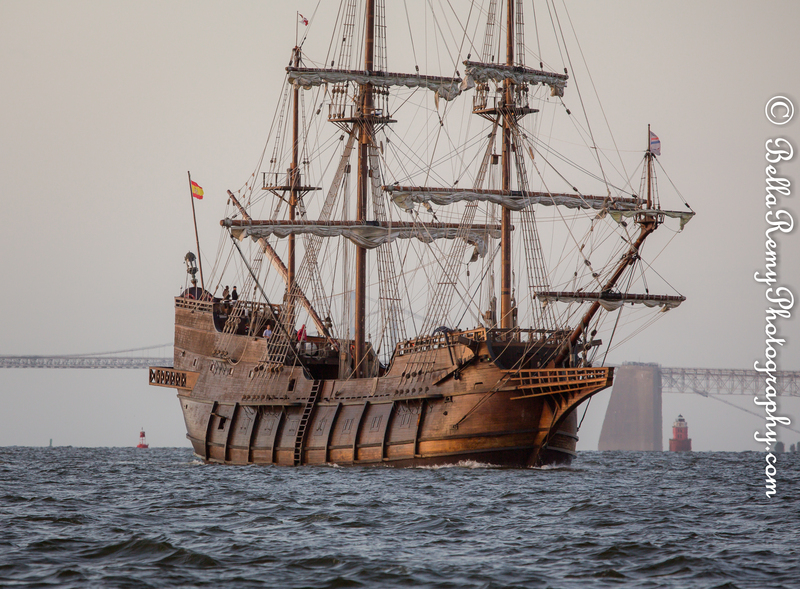 In fact, “El Galeon Andalucia” has international fame. Arriving in the United States in 2013 to help celebrate the 500th anniversary of the discovery of Florida by Ponce de Leon, she has been filmed in the new television series “Crossbones” with John Malkovich. She can be visited at Pier One in Baltimore Harbor. 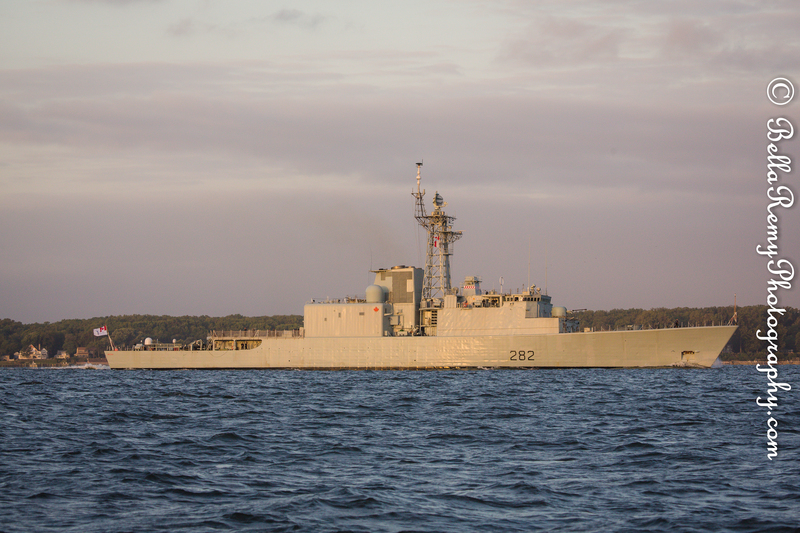 She was being accompanied with the HMCS Athabaskan. 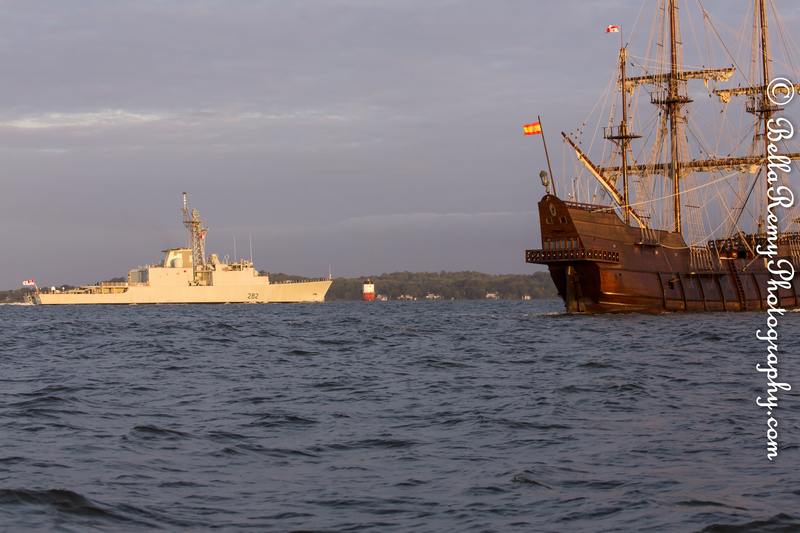 Seeming to race against each other up the bay, the Galleon quickly overtook the Royal Canadian Navy vessel. This destroyer with the motto “We Fight as One” has been on missions in the middle east, including Operation Desert Storm, and providing disaster relief both after Hurricane Katrina and in Haiti. Built in 1970, she is 425 feet long with a crew of 280 and is a guided missile destroyer. She can be visited at North Locust Point. After the initial excitement with these two vessels passing, it got a little quiet, so we cruised down to the bay bridge and floated along the pilings looking at the gulls. It wasn’t long before the USS Leyte Gulf was seen in the distance. Patiently awaiting her arrival, she passed another naval vessel that we were unable to identify. 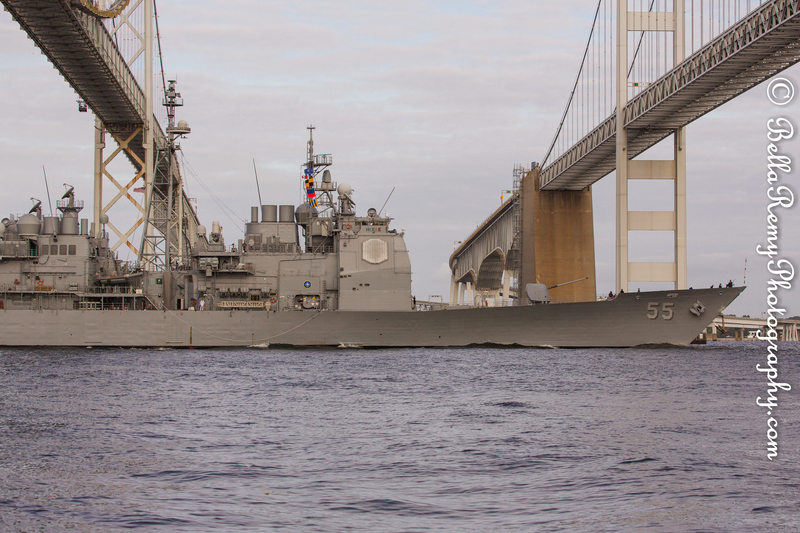 The USS Leyte Gulf was built in 1986 with her homeport of Norfolk, Virginia. An expansive 567 feet long, she carries 30 officers and 300 enlisted within her hulls. As a multi-mission guided missile cruiser, she has performed in the Persian Gulf during Operation Desert Storm, in the Mediterranean for Operation Enduring Freedom and more recently engaged with Somali pirates in 2011 after they had captured an American yacht. This is her first visit to Baltimore and can been seen at North Locust Point. 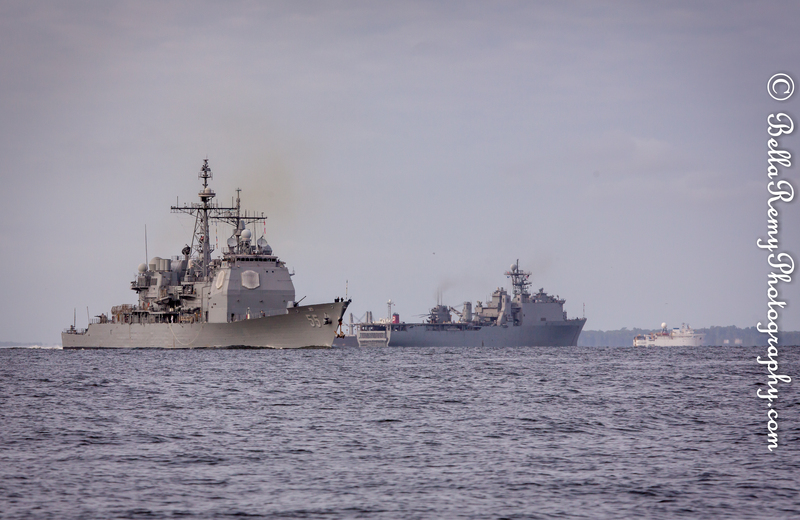 Thinking about the beautiful ships we saw this morning, they are truly rock stars in the world of naval vessels. Sailabration with Star Spangled Spectacular in Baltimore is a special event where you can get up close and personal with these maritime rock stars. Clear your calendar and come and enjoy this fantastic event! Aren’t they? You would love to see them – somehow I think you’d really enjoy the military vessels. You’re absolutely right – hard to believe that such a beautiful ship is real. Makes me smile as there is a festival here that many people dress up like Jack Sparrow. It’s wonderful! If only I could… What a wonderful thing to see! I believe I am an explorer at heart and often wonder if one of my ancestors was actually one of those intrepid men/women who sailed across the seas back in the 15th century when America was discovered. I truly love that Galeon Andalucia, as I am half ‘andaluza’, my father being from Jaen, one of the 8 provinces in Andalucia. She’s just beautiful! (but I think I am biased). By the way, should you ever come back to England, be sure to come to Portsmouth (only 1/2 hour’s drive from here), where you can visit the Historic Dockyard, which hold HMS Victory and the Mary Rose, as well as all new war ships: a truly brilliant day out! I hadn’t realized that you had a Spanish connection. Perhaps that’s why we get along so well as supposedly my mother’s family descended from Spain as well. Remind my little grey cells – you have visted Andalucia right? How about the white villages? It was a fantastic day – the heat is breaking. Woo Hoo! It was wonderful Joanne, and we were the only ones out there enjoying the sight. Now to see them by land. Reblogged this on The Commissar Foxtrot's Little Note and Expression. Appreciate you sharing this post with your readers. Thank you!